New marketing trends data from MerchantCircle's 6th quarterly survey of small business owners across the U.S. reveals that Facebook Ads are gaining popularity among small businesses and provides new insights into the group deals market, including increased pressure on Groupon and LivingSocial from Facebook Deals and Google Offers. 1. Facebook Ads are gaining popularity among local businesses. 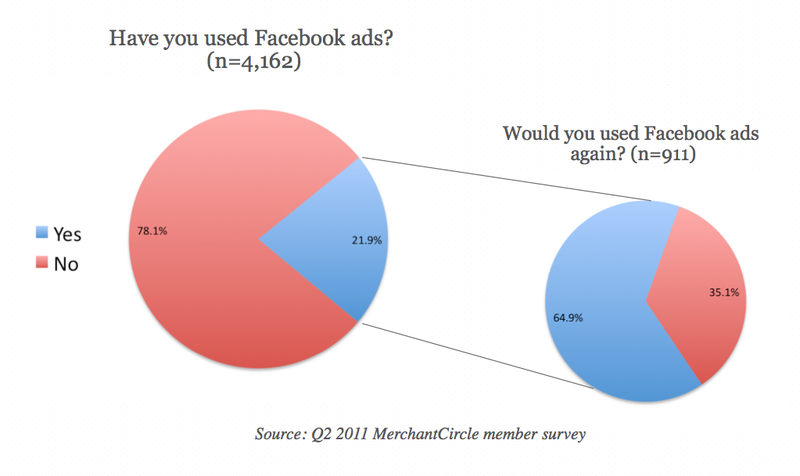 • 66% of local merchants are using Facebook for marketing. 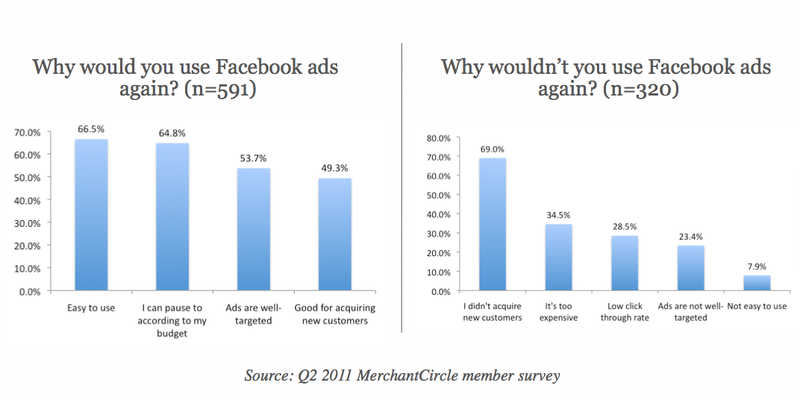 • 22% of local merchants have used Facebook Ads, and 65% would use Facebook Ads again. • Top reasons to use again include ease of use (67%) and the ability to start and stop campaigns (65%). 2. Merchants are warming to group buying, but adoption is still slow. • Just 9% of local merchants having offered a daily deal using a service like Groupon or LivingSocial. • While three months ago, only 50% of merchants who had tried offering a group deal said they would do so again, 77% now say they would be willing to offer another daily deal. • Top reasons for offering another deal include effectiveness in customer acquisition (58%), favorable deal structure (30%) and profitability of the deal (24%). • Among those who wouldn't offer another daily deal, 42% said that it was not effective in customer acquisition, 25% said it was too costly and 24% said they lost money. 3. Small business familiarity with Facebook and Google may help them win market share from Groupon in daily deals market. • 52% cited familiarity with Facebook and Google as a reason they might choose Facebook Deals or Google Offers over competitive daily deal offerings. • Other reasons for choosing Facebook Deals include bigger audience size (26%) and better local targeting (21%). • Those more likely to use Google Offers cited Google's bigger audience size (42%) and Google's brand reputation (34%) as top reasons for preferring Google. Really a great share from your side. I am really thankful for sharing such type of information with us. Keep posting. Very interesting analysis & insights. Does this mean that FaceBook is going for home run? However, it seems to be a healthy competition between the two.